More than 1,400 Google staff, many journalists, and human rights organizations are calling on Google to halt its controversial project called Dragonfly. Dragonfly is a search engine specially built for China. It would unleash more censorship on a mass scale by selectively blocking certain search terms, apparently at the behest of China’s government. Human rights groups are blasting the company for aiding and abetting China’s mass surveillance and rights violations which could result in potential imprisonment. It turns out Google’s employees had been unwittingly working on this project for a while until 2017 without knowing its intended purpose. News of this highly secret program finally leaked and no one is letting it get swept under the rug. Thankfully, since the news leaked out, no amount of time has caused advocates and free speech lovers to forget this scandal. Those in the know are using the hashtag #DropDragonfly. How would the Dragonfly search engine in China Work? The search engine would censor terms like “human rights” and “religion.” Hundreds of Google employees have called this out as obvious freedom of speech violations. The search app would “blacklist sensitive queries”, The Intercept says, identifying and filtering websites currently blocked by China’s so-called Great Firewall. According to documents it had seen, a search via the app would result in a list with banned websites removed and a disclaimer saying that “some results may have been removed due to statutory requirements”. Employees of Google are horrified. Common Dreams reported that an open letter was drawn up. Our company’s decision comes as the Chinese government is openly expanding its surveillance powers and tools of population control. Many of these rely on advanced technologies, and combine online activity, personal records, and mass monitoring to track and profile citizens. 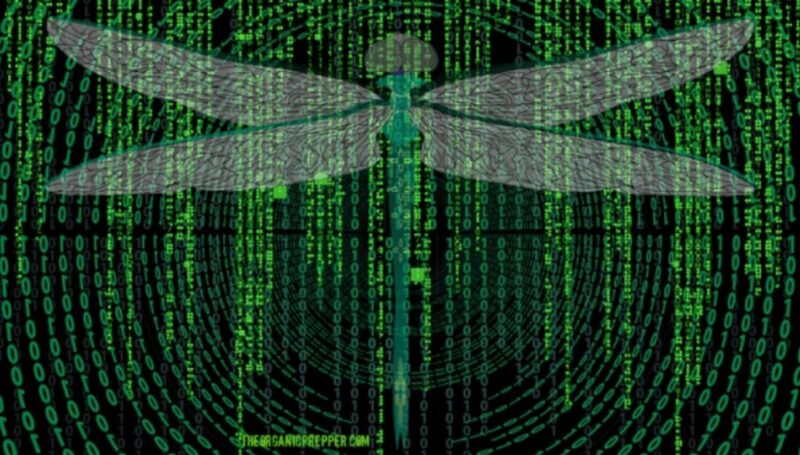 Dragonfly would also enable a government propaganda program. “Given the Chinese government’s reported suppression of dissident voices, such controls would likely be used to silence marginalized people, and favor information that promotes government interests,” they added. This isn’t the first time Google has attempted Project Dragonfly. Google dropped a previous attempt at Dragonfly in 2010 after employees voiced concerns. However, according to internal documents and inside sources, Dragonfly was back up in Spring 2017 and allegedly sped up in December after Google CEO Sundar Pichai met a Chinese government official. It will be a dark day for internet freedom if Google has acquiesced to China’s extreme censorship rules to gain market access. In putting profits before human rights, Google would be setting a chilling precedent and handing the Chinese government a victory. Google employees reminded the company that their original policies preclude them from working for evil purposes, so imagine their concern when they finally realized what the project was they had been unwittingly working on this whole time. Google has claimed that it was not close to plans for launching the project in China. Additionally, a leaked document showed language that suggested something more than exploratory work. “I wish ourselves the best of luck in actually reaching our destination as soon as possible,” Gomes said in a committee hearing. The company’s head of search quickly shut down any talk of goals for China during a Q&A at a conference in October. Google CEO Sundar Pichai is currently being grilled by Congress on the company’s potential plans in China as it relates to Internet censorship. Will a censorship search engine happen in the U.S.? One could argue it already is happening with changing algorithms that make it difficult once-popular websites to be seen and heard. Google is currently in hot water over accusations that it shows political bias in search results. One could argue that the Fake News theater was just one brick laid in the road to widespread censorship. One can see a pattern that China’s nation seems to be the “test ground” for unfortunate social engineering projects and its influence is spreading since even business is changing in order to get in with this quick-growing superpower. Will Google halt this work or is the allure of this powerful tech and opening up commercial markets just too tempting to resist?